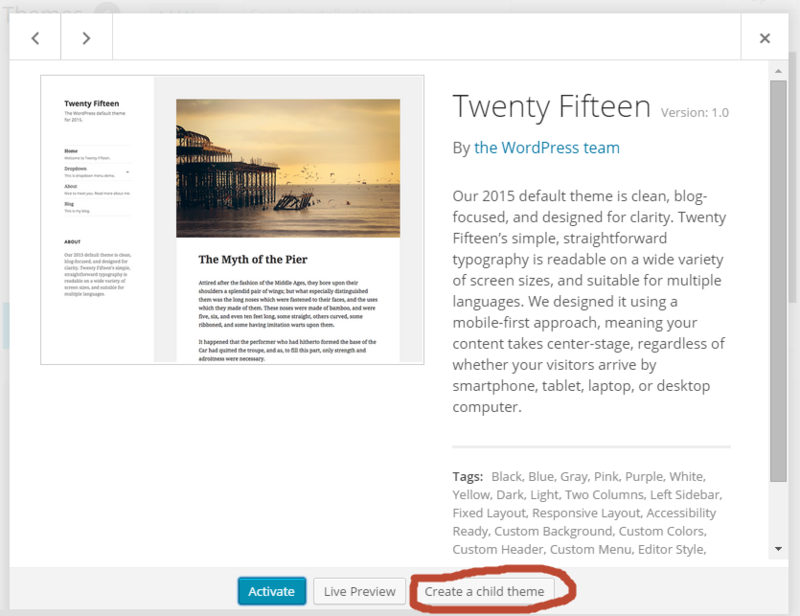 In a previous post I elucidated the tried and trusted method of creating a child theme in WordPress. In this article we are not going into the “why” of a child-theme, only the how. Again, the purpose is as much for me to not forget, as it is about to be generally useful :). As explained in my previous article, first you create a theme directory, and then a style.css file in that directory. The style.css file makes sure that the theme is recognized by WordPress, and that it is indeed a child theme. 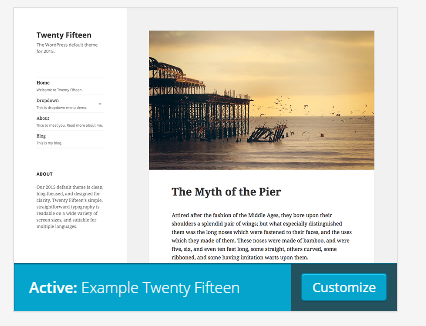 As an example, we will create a Child of the Twenty Fifteen theme to be used in a site at example.com. We will call this theme “example-twenty-fifteen”. I like the “Child Themify” plugin. It does directory creation, and style.css creation for you. Plus it copies the screenshot.png file from the parent. The “Child Themify” plugin creates a style.css file with the @import stanza in it. The plugin can be deactivated once the child has been created.